I've got to start off by thanking the gorgeous Lauren who put my name forward and honestly made my day by leaving such lovely comments on my last weekly Instagram post. 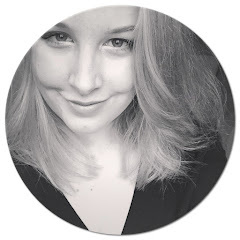 I had never heard of the Liebster Award until Lauren mentioned it, and I feel chuffed to bits that she thought that my little blog was worthy enough to be nominated! - You need to link back to the blogger that nominated you (in my case Lauren). - Answer the questions set by them in their post. - Nominate new blogs in your post, that generally have less than 2k followers. - Create your own list of questions for your nominated bloggers. 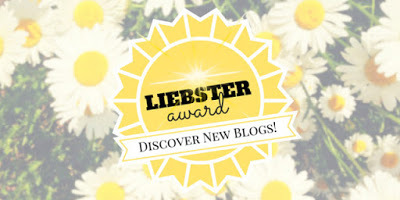 - Finally notify your nominated blogs once you have published your Liebster post. I love going back and visiting the beaches in Devon where I grew up. It reminds me of being little and going with my Mum after school in the Summer. - If you could have any magic power, what would it be? I would love that whenever I pin an outfit on Pinterest it would magically appear in my wardrobe - That would be amazing! - Which 3 people would you love to be your dinner guests? I would love for Anna (Vivianna does makeup) and Lilly (Lilly Pebbles) to come, along with Marilyn Monroe because we would have some awesome beauty chats! - Favourite drugstore beauty product? Make Up Revolution has quickly become my favourite drugstore makeup brand. I can't live without their Death By Chocolate palette. The matte shades are so blendable and perfect for everyday looks. - What is your favourite thing about yourself? If you knew me well you'd know that I'm super insecure as a person, but I'd have to say I'm incredibly proud of how I've handled difficult situations in my life, so I'd say my resilience and determination are my favourite features. My family, boyfriend, friends, cat and blog make me happy. Along with beauty products of course... lol it's the little things. Disney's Hercules - the adult humour in it is hilar! 'Believe in dreams' I love it so much that I had it tattooed on my hip in Arabic. - What is one of your best memories with your friends or family? Getting ready for my high school prom when I was 16 with my best friend Emma is definitely an afternoon that holds really happy memories for me. I remember it being a gorgeous sunny day, my Mum did our hair and makeup and made us mocktails whilst we danced around the living room, it was fab. - What was the reason you started blogging? 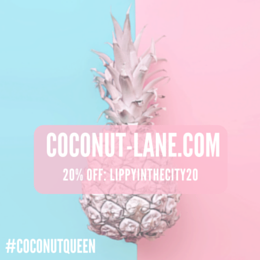 - Favorite place to buy make up/ beauty products? - Top 5 Desert Island makeup/ beauty product essentials? - Favourite Red Lipstick, or lipstick if Red isn't your thing? - 3 Items you can't leave the house without? - Favourite restaurant and item to order off their menu? - Favourite book or magazine? - City in the world you would love to visit? - Have you faced any blogging struggles and if yes, how have you overcome them? Have fun, I can't wait to read your answers!